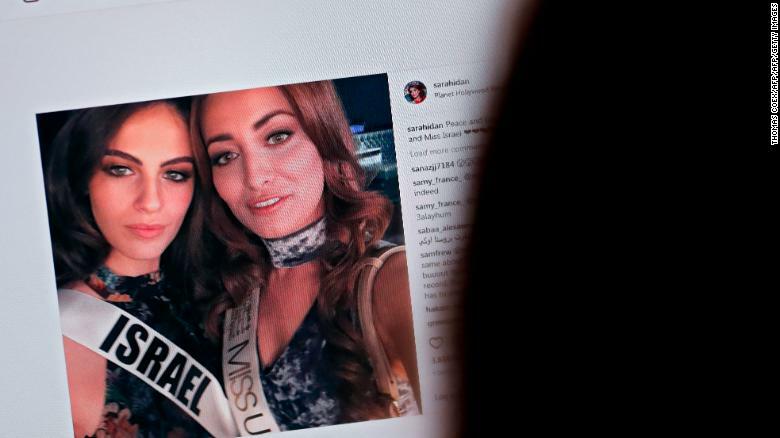 Lord, today we pray for Sarah Idan of Iraq and Adar Gandelsman of Israel, two friends who met through the Miss Universe Organization. We are thankful for the friendship between these two women who represent countries at odds with one another. We are impressed that they shared their friendship with the world under the banner of “peace and love.” Lord, it greatly saddens us that these women and their families received death threats as a result of the public acknowledgment of this friendship. We are impressed that they did not take down their photo, nor end their friendship, despite these threats. We ask your protection of them and their families as they continue to publicly demonstrate that we can love and care for people from different nations, religions and ideologies. May their season on this global platform as Miss Iraq and Miss Israel make a difference for Middle Eastern relations. May their examples inspire those who look up to them to work toward harmony. In Jesus’ name we pray, amen.